I was thrilled to be asked to be part of the blog tour for author Riley Sager’s new book The Last Time I Lied as I had read Final Girls a couple of years ago and absolutely loved it! As with Final Girls, The Last Time I Lied is also partly set in a summer camp, which was one of the things that I loved about the first book. Confession: I didn’t realise it was my turn on the tour today so I haven’t written up my review yet so that will follow shortly. However, in the meantime, Riley has kindly answered some questions about favourite summer camp movies for this blog tour. Hollywood loves a good summer camp movie. All those dense woods and mist-covered lakes make great backdrops for stories both sweet and scary. This Walt Disney classic stars Hayley Mills and … Hayley Mills as long-lost twin sisters who meet at summer camp. First, they fight. Then they bond. Then they hatch a plan to switch identities and reunite their parents. It’s all insane, which might be why I love it so much. A 1998 remake starred Lindsay Lohan and … Lindsay Lohan, which is why I prefer the original. Let’s be honest—as soon as you hear the words summer camp, you think Camp Crystal Lake, home of that hockey-masked monster Jason Voorhees. With good reason. The original Friday the 13th changed the way the world things of summer camps. After that, it was no longer safe to venture into the woods alone. While the adult members of the Addams clan are dealing with psychotic bride Debbie Jellinksy (a deliciously bonkers Joan Cusack), Wednesday and Pugsley are sent to Camp Chippewa. While there, a group of mean girls target Wednesday. Big mistake, mean girls. Big mistake. Have you ever loved a movie so much you want to live there? That’s how I feel about this Wes Anderson charmer about the adolescent romance between a scout camp runaway and the bookish girl who strikes his fancy. Come for the production design, stay for the surprisingly sweet story. Thank you so much to Riley for taking the time to write this post. I’ve even added a few of those films to my own watch list now. And thank you to Ebury Publishing for my copy of the book and to Anne Cater for arranging the tour. What a joy of a book this is. A book with many themes and all so impactful that after only a few chapters I was already googling outdoor swimming in my area, so keen was I to feel that first icy bite. Kate is 26 and living a life of loneliness in Brixton, having moved there for work and knowing nobody. She exists on ready meals and spends her evenings alone in her bedroom. Also in Brixton, is 86 year old Rosemary who has lived there all her life. Rosemary has lead a wonderful life, married to the love of her life, George, for over 60 years until his recent passing. Her time is spent swimming in the Lido and occasional tea and cake with friends. That is until the Lido is threatened with closure and Kate and Rosemary find their paths crossing, leading to a friendship that neither of them saw coming. Kate and Rosemary are both fantastically well-fleshed out characters. Loneliness is a big theme in The Lido as both women are lonely in their own ways and this feeling was palpable through the pages. There was a lot about this book that resonated with me: It is certainly true that you can feel lonely in a crowd. I, like Kate, have moved to new areas, only in my case many times. Starting fresh in a new town or city for work is both exciting and daunting and despite making friends easily at work, I found myself on occasion lonely for company and it can be incredibly debilitating. Libby Page manages to create very relatable characters who are easy to empathise with and easy to invest in emotionally. The Lido is an uplifting, gem of a novel. With an abundance of character who fizz off the pages and a plight and a goal to root for, I enjoyed every second of this book. Be prepared to laugh and to cry (i.e. big, fat, noisy tears) but to come away feeling uplifted. I was asked to talk about my own Rosemary for this book tour and while there were a few contenders, I chose my late Grandmother, Lily, whose story and courage I have always admired. Born in 1908, my Grandma left home at 17, to become a Nurse, all against the wishes of her parents who owned shops and later a farm and wanted her to continue in the family business. She wanted to become a Nurse so badly that she lied about her age, telling the college she was 18. Over the years, she rose through the ranks, becoming both a midwife and a District Nurse. She met my Grandad, Harry, in her early 20’s but didn’t marry him until years later as in those days, women had to give up their careers when they got married. Despite being written out of her parents’ will, she stuck to her guns and pursued the career she wanted. I used to love hearing these stories when I was little – she was such an independent woman way ahead of her time and stuck to her principles despite being disinherited (actually, that’s not quite true – her parents left her a tea-towel in their will!). My Grandmother went on to have three children (two in her late 20’s when she finally married my Grandad) and then my Mum when she was almost 40 (very late in those days). She also drove a moped (which she crashed and was in a coma for a while and then got back on again when she was back on her feet). Lily passed away in 1996 but we still talk about her a lot – she was feisty and said what she thought but she was also loving and kind. I’m really proud of telling this story as I think she was truly inspirational. And she would have been straight down to that Lido, waving banners and holding placards!! 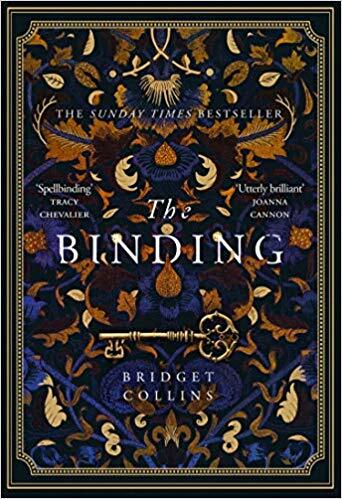 NB/ I was sent a copy of this book in return for an honest review by Orion and I was delighted to be asked to take part in the blog tour for this wonderful book. Please do also check out the other reviews that have already been posted and the ones scheduled for the next few days. It’s 1940 and Emmeline Lake’s dream is to become a Lady War Correspondent. After going for an interview with a newspaper, being offered the job, telling everyone she knows, Emmeline arrives for her first day only to realise that there has been a huge mistake. Instead of pounding the rubble of Blitz-ridden London she has actually been employed to work with their Agony Aunt, the formidable Mrs. Bird, and will spend her days sifting through letters for her column “Henrietta Helps”. She soon learns, however, that not all (in fact, most) letters don’t ever make it to the paper as they are (deemed “unpleasant” (any containing intimacy, unhappiness or divorce among other topics are a definite no-no). Emmy, bored and frustrated by all the poor people she can’t help, decides to secretly answer some of the letters, and not realsing the impending chaos that will ensue. 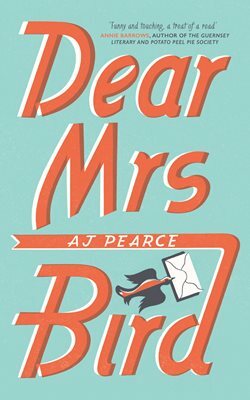 Dear Mrs. Bird is a quirky, fun read. It’s filled with likable (and some not so likable) characters who manage to navigate their way through the war and still find things to be cheerful about. Yes, it’s a light and breezy book but there are some difficult to read parts that I thought the author managed incredibly well and with great tenderness. A charming book that should appeal to many. A lovely read with a lightness of touch which I thoroughly enjoyed. NB/ I received a copy of this book from Picador to read in return for my honest review. Dear Mrs. Bird will be available to purchase in the UK on 05/04/18. “The baby is dead. It only took a few seconds.” That is the first line of this book. I was horrified and hooked. We know right from the start that there is no happy ending and we also know who is guilty. What we want to know is why. Lullaby is shocking because it’s the nanny who has harmed the children. Louise is the perfect nanny: quiet, conscientious, and always going above and beyond what’s required of her role. She makes herself invaluable to a mother who is desperate to get back to work and find the person she once was. In fact, Louise is so perfect that the parents find themselves prepared to overlook certain things that become increasingly odd, all for the sake of peace and keeping her in the role so they can fulfill their own needs outside o the children. Lullaby explores the dynamics within a family unit and also those of gender, race and class. This is no ordinary domestic noir: the book is short in length, has short chapters and has prose that is precise, clipped and even blunt, but not a word is wasted. However, from what was such a promising start that lured me straight in it gradually went downhill for me, with an ending that was particularly frustrating. Despite there being lots to like about this book, I became more confused towards the end as to what drove Louise to do what she did. In fact the more we learned about Louise’s past the more confused I became as to why the hell she did what she did. Well written and I liked the style but I got no closure from this book and it left me with a sense of being duped. 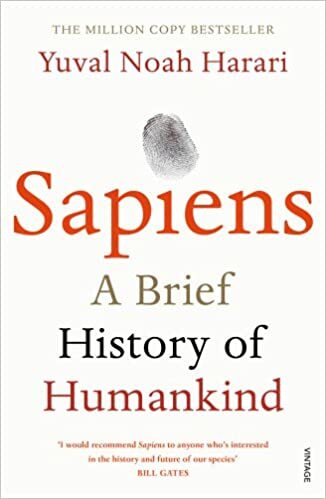 This is one of those read-in-on-sitting type books: short chapters, alternating viewpoints, past and present narratives. All the ingredients of a gripping page-turner. Lou Wandsworth had an affair with her Karate teacher, Mike, when she was fourteen, which ended when they were arrested in France. Eighteen years later, Lou has been unable to move on properly with her life; with short-lived relationships having become her staple and a past that even her best friend doesn’t know anything about. But it’s not about to stay like that for much longer. 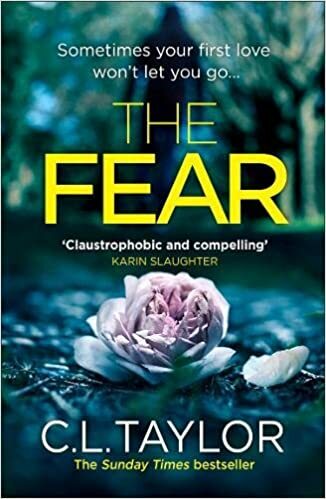 After her Father’s death, Lou has to move back to her childhood home which exposes not only long-buried feelings but also the revelation that Mike may be up to his old tricks with 13-year-old Chloe Meadows. What follows is a game of cat and mouse as Lou attempts to bring Mik to justice after all these years, but what neither of them reckons on is there being someone else in the mix who is just as out for revenge. A gripping, fast-paced read that will have you questioning what is really going on and a race to the end to see if just desserts are served after all. NB/ I received a copy of this book from Avon Books in return for an honest review. The book is launched in the UK on 22/03/18.